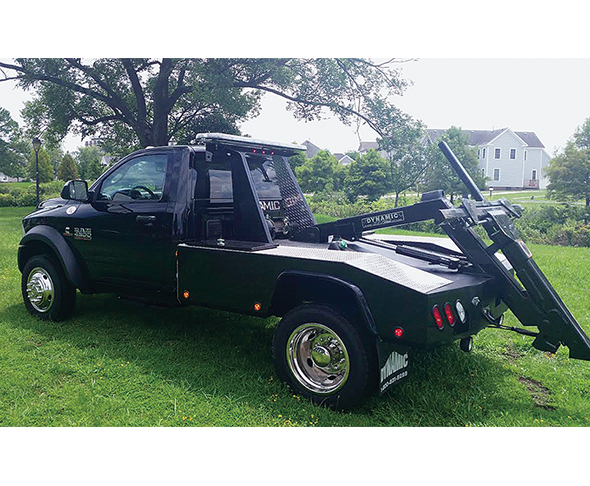 Home >> Listings >> Dynamic Towing Equipment & Manufacturing Inc. Dynamic Towing Equipment & Manufacturing Inc. The new 701 unit with negative and positive tilt has a 5,000-lb. fully-extended wheel-lift with 25 degrees of negative and power tilt, 79” reach from the tailboard. Based on the original 701 design and now with the negative tilt it becomes easier to recover a vehicle down a driveway or uneven surfaces. Available with poly fenders so rust is a thing of the past. Comes standard with a 3-year warranty. Call 800-831-9299 or visit www.dynamictow.com.